The Virginia Volleyball Center (VVC) is a state-of-the-art 55,000 square foot volleyball-only facility with 6 indoor volleyball courts, 1 indoor beach volleyball court, 1 fully stocked weight room, 1 classroom with projector that holds up to 50 people, and 1 physical therapy center. The VVC is conveniently open year-round providing volleyball training opportunities to volleyball players of every age and at every skill level. The facility has parking for up to 150 cars, with 300 additional parking spaces available in neighboring facilities on select days. The VVC is also a temperature-controlled facility, allowing it to host events all year long regardless of the weather outside. Spacious community area with WiFi, TV, and convenience store. 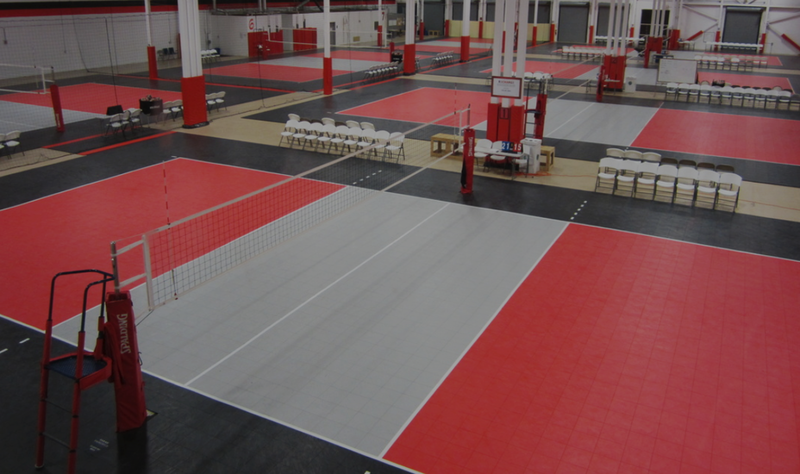 Interested in renting a court, room or the whole facility at the Virginia Volleyball Center? Please email support@nvva.com for short and long-term rentals. Parking is limited at the VVC. Please be patient and make every effort to follow our request regarding carpool and parking procedures in an effort to help us reduce parking chaos. We want to be good neighbors since both Zava Zone and NVVA are busy places for youth sports. Please DO NOT park in the lot in front of the building (along Cascades Parkway). 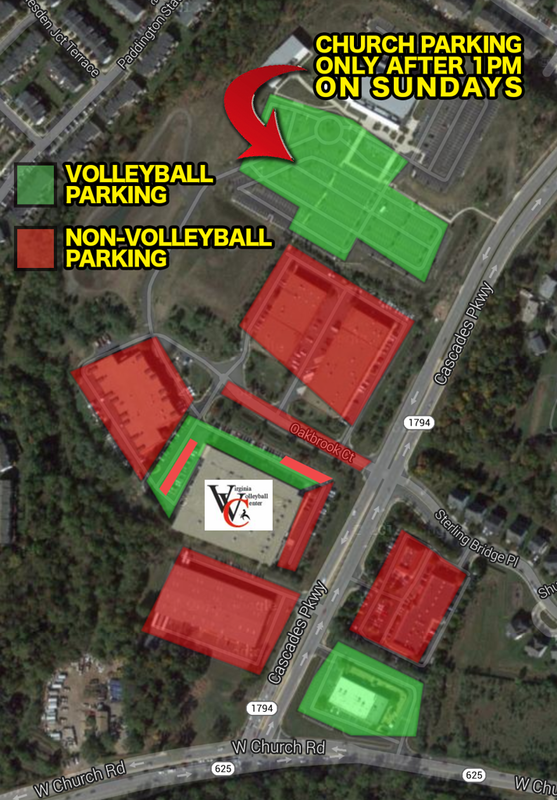 Parking is inside the parking lot along Oakbrook Court and behind the building; you may also consider dropping off your player(s) and parking off-site and carpooling to VVC in an effort to help with parking. In the Zava Zone Reserved blue spots or you may be towed. In the lots of the building directly behind the VVC, with signs indicating such. You will be towed. Along Oakbrook Court where there is not a curb. By parking on the grass and gravel area you are limiting the ability of two-way traffic to get through, which is needed because of multiple church services. Reston Bible Church regular or overflow lot prior to 1:00 pm on Sunday. From Monday-Saturday, overflow parking is best at the Reston Bible Church regular parking lot which is on top of the hill at the end of Oakbrook Court. On Sundays, overflow parking is available at the Montessori Children’s House across Cascades Parkway (at the corner of Cascades Parkway and Church Road). Overflow parking is also available after 1:00 pm at the Reston Bible Church. If you choose to drop off your player, please loop around the rear parking spaces, drop your player off by the right hand door, and proceed to the exit or find permitted parking. We ask that whenever possible, you use a carpool arrangement for player drop-off and pick-up to help reduce the traffic congestion. We suggest you drop off players at the center, drive to the alternate parking locations to park your car, and then carpool back to the VVC.